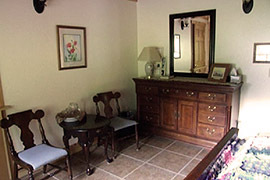 This handcrafted lodge was completed in 2009 by Roger Cowles. The lodge sits on a 1901 historic gold mining claim now known as Indian Valley Mine and is conveniently located half way between Anchorage and Girdwood, Alaska. Your hosts, Roger & Arlene Cowles will treat you with some old time Alaskan hospitality, simple living, and spectacular scenery. Our backyard is up against the Chugach State Park, home to moose, bears, wolves, and Dall Sheep. 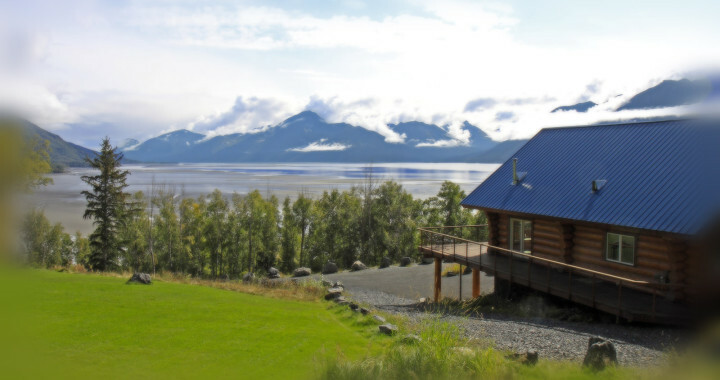 While our front yard has breathtaking expansive views of the Chugach Mountains and the waters of Turnagain Arm, home to beluga whales, migrating salmon, and boasts the fouth highest tide in the world of 30.3 ft. 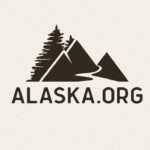 The lodge is a 30 minute drive South from Ted Stevens Anchorage International Airport, yet with the wilderness all around it seems very remote! This beautifully hand crafted three story log home has a wrap around deck, groomed lawn, pond, fire pit, and can accommodate 12 family members or friends. 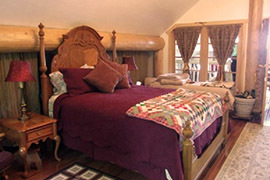 Consider using the lodge as home base for day tripping to glacier cruises, wildlife viewing, whale watching, flight seeing from Anchorage to North America's tallest mountain peak Denali, ATV tours, dog mushing, fishing, gold panning, horseback riding, hiking, biking, kayaking, kite surfing, with scenic drives to all. 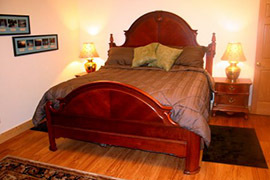 Both Turnagain View Lodge and Indian Valley Mine are family owned and operated. A great spot for hosting private parties, destination weddings, and other life celebrations. The lodge along with the gold mine are located at Mile 104, Seward Highway. Keep your eyes open and don't blink, you might miss the turn! Come on in and sit right down and make yourself at home."